PWS is based in Newton Aycliffe. It’s a fifth-generation family business and market leader in the design and supply of quality kitchen components and work surfaces to trade customers including manufacturers, retailers and installers. Part of the Danesmoor Group, PWS is the largest business within the Group’s portfolio, and has impressive growth targets over the next five years to more than double its turnover while keeping admin requirements at its current level. 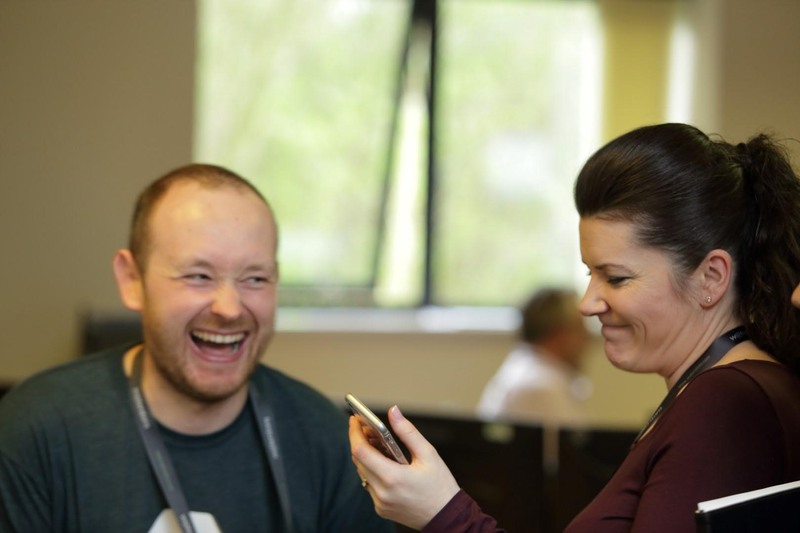 Of course, IT plays a huge part in this growth strategy, and PWS works to be fully self-sufficient with its IT requirements developed in-house, like the company’s own ERP system, while being supported through its partnership approach with Waterstons. 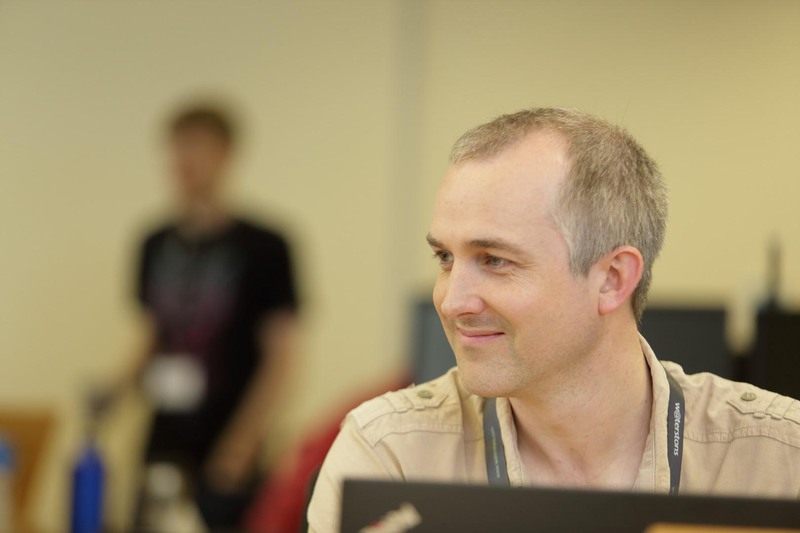 Andrew Buckingham, Head of IT at PWS came along to our customer Hack Day because, as he said, it’s an opportunity to explore a brief he and his team wouldn’t normally justify spending the time on. It would allow him to focus intensively on a problem with the support of our team; working collaboratively to find a solution to the issue during a short window of opportunity, rather than it rumbling along on his list of things ‘to do’, and never quite finding the time to get around to it. So, what was the brief? Currently, trade orders are placed over the phone with the customer service team or via the PWS website. Andrew was getting increasingly concerned that the current sales process could become restrictive to PWS’ customers, who are often out and about on a job when placing an order, while being very admin-heavy for the business. He wanted to explore a solution which would allow his customers to place orders on the go while linking into the website’s functionality to process sales, keeping cash flowing through the business and contributing to its financial targets without the need for any further admin support. Step forward Team PWS. Headed up by Ross Dargan along with Shems Boukhatem and Jake Towers, the group headed to Newton Aycliffe to meet Andrew and his team ahead of the Hack Day to talk through some initial ideas. 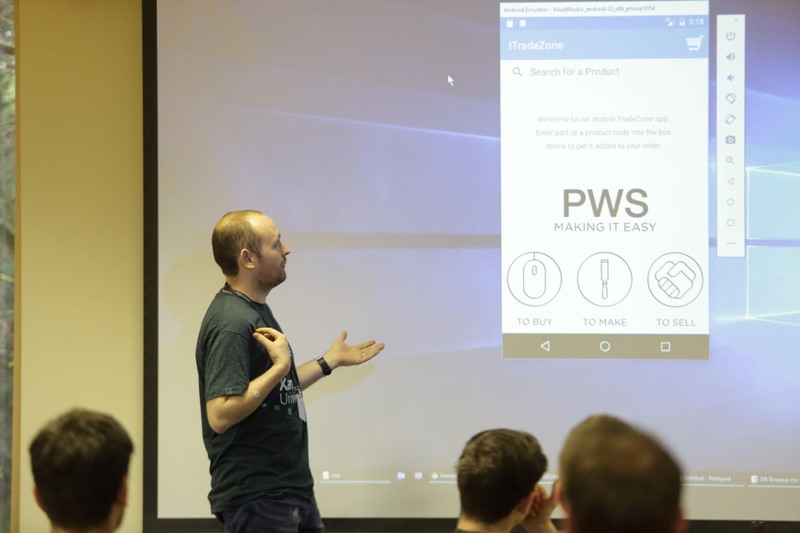 During the meeting, Andrew gave the team some really useful insight into PWS’ customer profile which helped massively in deciding on the best approach to find a solution to his order-placing challenge. PWS’ customers are expert at what they do and are loyal to the business. They use the printed directory as a point of reference, carrying it with them while on jobs, and need very little guidance on the actual type of product and quantities they need – some even know the directory codes for their go-to products off-by-heart! So, it was decided that this challenge wasn’t about helping the customer to decide what products they actually needed for a job. Rather, it was about facilitating a swift sales process for trade customers without them needing to call customer services or visiting the website to be able to place an order. Team PWS arrived at the idea of an app that would allow trade customers to scan a page in the printed directory. The app would then read the page and interface with the website to pull up the different products specifically on that page. Fields would pre-populate with quantities, sizes and so on, so literally at the click of a button, the customer could order the products that they needed with the info being sent back to the admin team via the website, without adding to any additional support staff overheads. 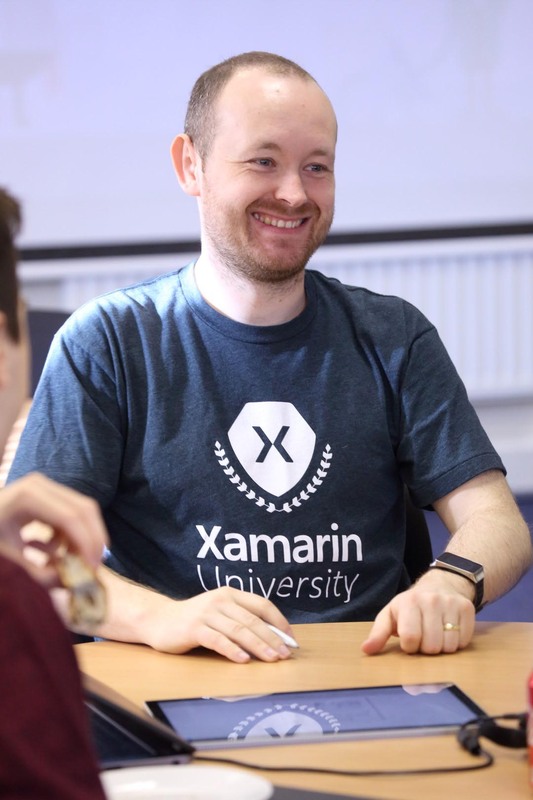 To bring the plans to fruition, the team used something called Xamarin forms, allowing them to write the app once and for it to give the end-user a native experience – looking and feeling as if the app was written for specific devices, regardless of whether you were viewing it on iOS, android or a Windows phone or desktop. Other app development platforms are available! With a great plan in place, the challenge for Team PWS was set. But before they began, Ross decided to shake things up… As one of the aims of our Hack Days is to allow our people to explore new ways of working and empowering them to take their newly-acquired skills forward in servicing our clients during the normal working day, roles in the team were flipped on their head. 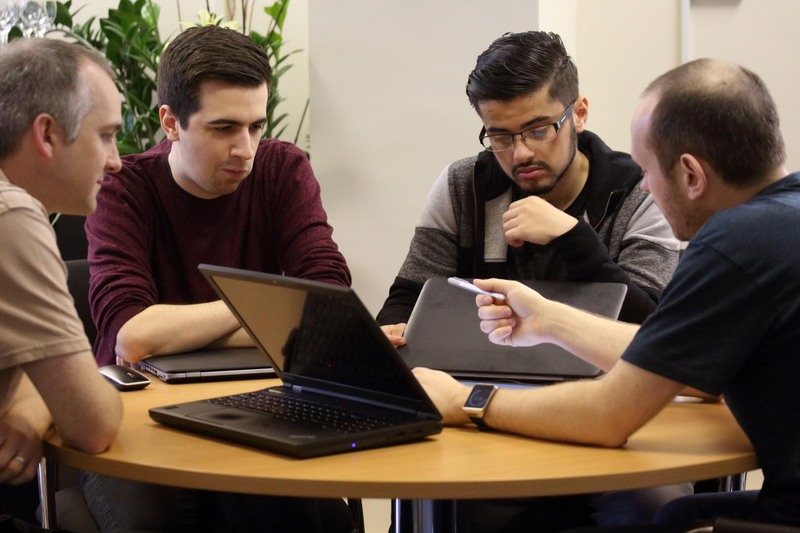 The team ended up with people working on a mobile development project, who’d never done mobile development before, and with back-end developers designing for the front-end and vice versa. The result? A total success! Just six short hours later, Andrew was presented with a workable proof of concept to take forward in his business, helping to facilitate additional sales while keeping admin requirements at its current level and so supporting business growth. While a few tweaks and updates needed to be made to the printed directory with QR codes and a few other really clever bits to allow the app to work even better and hook up to the PWS back-end systems. PWS most certainly has a working proof of concept with legs to be able to pick up and run with it. A great day had by all, a happy client and in Andrew’s own words, a really worthwhile development experience. Could we ask for anything more? When your Hack Day project works... an hour before the deadline! Thinking about working at Waterstons?